Whole-home wiring systems, or smart home systems, have been around for decades, but it’s only since wireless communications have improved in the last few years that the advantages of being totally connected to your home are worth the effort. A connected home now lives up to its promise: From a single console—in the kitchen, by your bed, or on your phone or tablet wherever you are—you can control your music collection, set the scene with lighting, control the temperature, and see who’s at the front door. Multi-room audio, lighting, intercom, thermostat and camera systems are integrated into one home system. 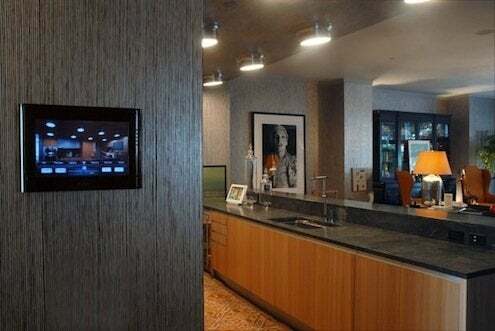 Some systems are controlled by motion detectors that activate music, lights, and TV when you walk into the room, and turn them off when you leave. As such, they act as security systems alerting you or a service to suspicious movement, flooding, or power outages around your house. Some systems will monitor your energy use and allow you to tweak it remotely to cut down on waste—and turn off the oven if you forgot!